WAS 23 YEARS OLD, a mother of 2 children, 2 c-sections in 2 years, and a kangaroo pouch in front of me. I was extremely unhappy and depressed. I had no clue how to lose the weight or even how to start eating right. I discovered this revolutionary product, Bee Pollen capsules, and began my new journey. 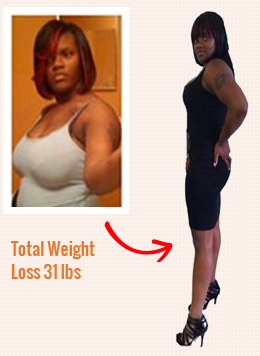 THE FIRST WEEK I started taking the capsules I lost 11lbs and from there everything flowed smooth. I started my weight loss at the beginning of March and by the end of March I lost a total of 23 lbs and was slimmer than ever. My attitude changed, I began loving myself, and best of all my clothes fit great. Now I run, skip, hop, and dance with my children. After reaching my weight loss goal, I made the decision to help others who struggled with their weight and founded Ultimate Weight Loss Co. WHILE MANY BRANDS OF WEIGHT LOSS CAPSULES OFFER ONE-SIZED-FITS-ALL SOLUTIONS, those who choose Ultimate Weight Loss Co’s bee pollen weight loss products get to choose the supplement right for them. The list of supplements available at ZXTBeePollencapsules.com or ultimateweightlossus.com includes Ultimate Xcel bee Pollen, Ultimate Xcel Advanced Bee pollen along with several other supplements beneficial to health, such as detox tea, b12 liquid, thyroid support, and more. THE CHOICE OF WHICH BEE POLLEN WEIGHT LOSS PILL to take depends on the benefits and speed of weight loss desired. For example, Ultimate Xcel Advanced, is specially designed for those who want to lose weight without having to diet, or exercise. Yet, Ultimate Weight Loss Co’s Bee Pollen weight loss products are for those working to build a healthier lifestyle and have no interest in foregoing diet and exercise. EFFECTIVE WEIGHT LOSS at the User’s Pace Bee Pollen capsules are already winning over the adoration of many fans, who are taking these capsules on a daily basis and actually getting the results promised. Even without having to diet or exercise, users of Ultimate Weight Loss Co’s Bee Pollen capsules find themselves becoming slimmer by the day. MANY ARE SUCCESSFULLY USING THESE CAPSULES TO CREATE A BRAND NEW, healthier lifestyle for themselves, finding that this supplement gives them the added boost needed to stay motivated along the way. They stay energized, resist sickness thanks to an enhanced immune system, and even get relief from allergy symptoms. There are several other health benefits awaiting those who choose to check out Bee Pollen weight loss products for themselves.